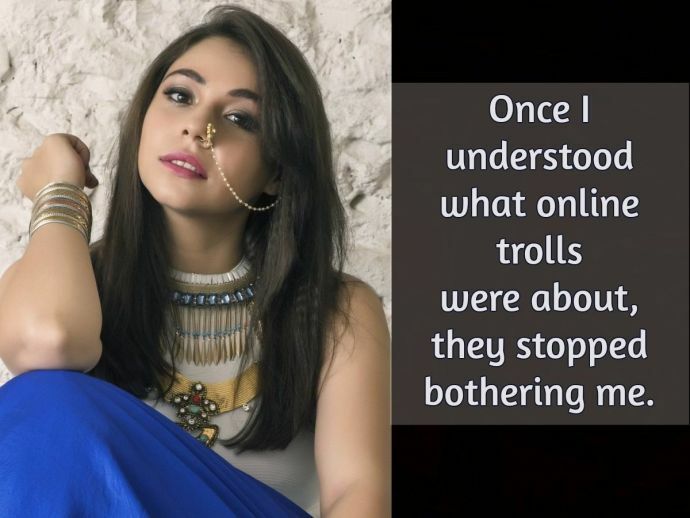 Reacho interviews the 'TVF Pitchers' actress on her wide variety of roles, her treatment of online trolling and more. Showbiz demands constant reinvention and experimentation on the part of the artist. There are very few actors who are able to slip in and out of diverse characters convincingly. Belonging to this minority is Maanvi Gagroo, best known for her turn as Chanchal in The Viral Fever's web series Tripling, and Shreya from Pitchers. The Delhi-born actress started her stint on TV as the feisty Ambika 'Bikki' Gill in the Disney channel show Dhoom Machao Dhoom. 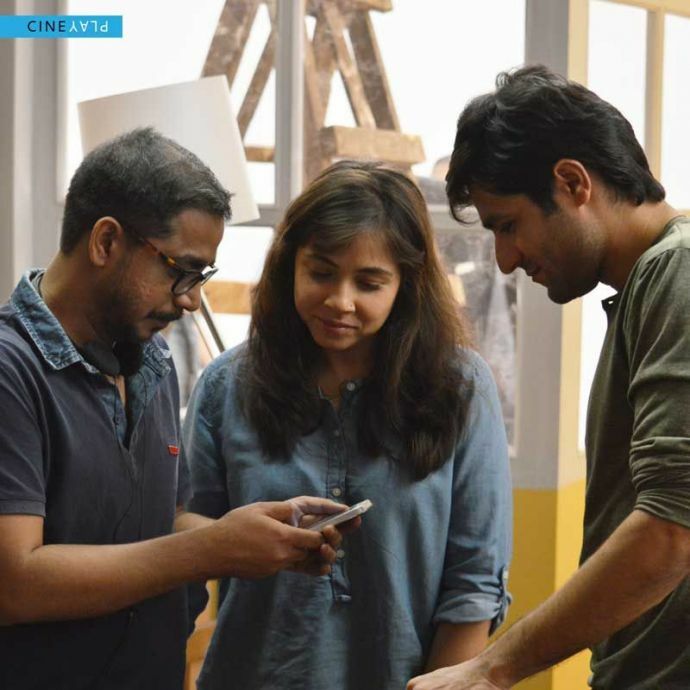 She has since been a part of commercials, films like PK and No One Killed Jessica, and of course, the immensely popular web series by TVF. Her most recent outing is a Cineplay on Hotstar, Guy In The Sky. Tell us about your play, Guy in the Sky, and the role you play in it. So the Cineplay is called Guy in the Sky. It is adapted from a Kannada play by Chandrasekar Kambar, titled 'Scapegoat' (English title). It is a satire/ farce which revolves around the lives of a pretentiously happy couple and a vengeful assassin in today's time. The ups and downs in the story slowly start to filter out the reality of each character while they find themselves battling chaos of an unexpected situation and conflict between their political views. I play a part called Mahek. She's your typical privileged individual. She's born in a well-to-do urban family with access to the best schools and colleges, and has now quit her job to become an activist. All this because she had the luxury to do so. This makes her extremely self-assured but not necessarily self-aware. She has never faced any real problems and even when she did, they were taken care of, FOR her, by other people. Film, TV and web series after a Psychology degree, what did you want to be growing up? I wanted to be a clinical psychologist. One of my majors was consumer psychology so that was a back up plan too. Your thoughts on the nepotism debate- how much does being an industry insider contribute to success? Of course there's nepotism! Star kids/siblings/cousins have it easy initially. They know where to begin. They are far more familiar with the world of entertainment which is something 'outsiders' need to struggle with. They also have a lot of guidance to help them navigate through this industry. Having said that there are plenty of people who don't end up having long lasting careers despite these headstarts. So eventually it boils down to talent. How did 'Dhoom Machao Dhoom' happen? A lot by chance actually. I'd found out about an audition for a Disney show but I wasn't too keen. I was supposed to be meeting a friend when he said he's stuck and will take an hour to reach. So I ended up going for the audition, primarily to kill time. And the rest just happened I guess. How much following does experimental theatre find? Is it more actor-oriented or viewer-oriented? Commercially, not so much. As with most experimental things, there are fewer takers and selling it is the hard part. As an actor, I think every one of us wants to experiment with our roles. As a viewer too, we want to see new, experimental stuff. The problem comes in when a creator is unable to reach their target audience, intellectually. That gap needs to be understood and bridged. Online trolls spare no one. Do you see a way to deal with them, or are they just a virtual manifestation of the "char log" who'll find fault with everything? I used to get disturbed initially. I would keep wondering why someone said what they did. Once I understood what these people were essentially about, they stopped bothering me. Mostly I ignore them because honestly, all they're looking for is attention and I don't want to be feeding that. Besides, it's sad that people have such dull and disturbed lives for them to be getting pleasure out of such negativity. So yeah, I ignore them. HARD. What is your dream role/character? So many! Claire Underwood from House of Cards, Kate Winslet from Revolutionary Road and Konkana Sen Sharma from 15 Park Avenue. What dictates your choice of roles? Usually a mix of various reasons. The script, the team, the money and sometimes the platform. Which character you've played is closest to you in real life? Every character I've played has parts of me in them but I'd like to say Shreya from Pitchers. After Tripling, do you feel typecast as Chanchal, or are you afraid you'll be offered only a certain type of roles, as you mentioned you got earlier? Umm, not really. It hasn't happened yet (knock on wood) and I've done a fair amount of variety of roles even post Tripling, so no. One couldn't guess from 'Every Bombay Girl In The World', that you aren't one, but you nailed that. Where did you source that snobbish SoBo vibe from? (Laughs) That my friend, is what you call acting! Just kidding. I'm a South Delhi girl and Bombay and Delhi girls are only slightly different variants of each other. I also have a lot of SoBo friends. You've mentioned in other interviews that you're multilingual. Any plans to foray into regional cinema? No plans as such but I'd love to! I enjoy learning new languages and some great things are happening in regional cinema so most definitely! So I have Guy in the Sky coming up. I've shot for 2 short films and am in talks for a film but more on that later. We look forward to many more amazing roles from Maanvi! 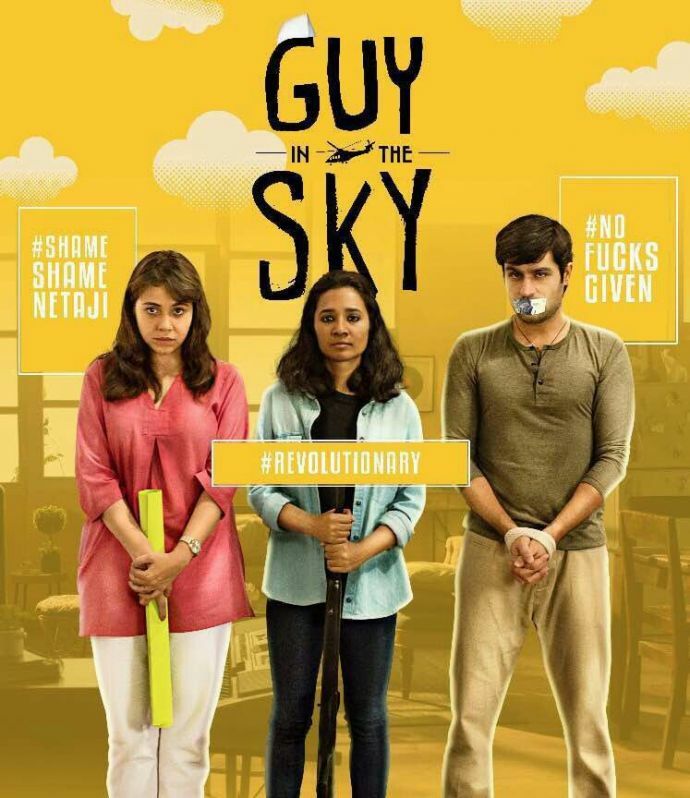 Guy In The Sky is now out on Hotstar.